This weekend, I did a TON of reading on SEO, backlinking, increasing traffic and getting indexed for more keywords in the search engines… trying to find out how to increase traffic on this website. ===> I have not gotten far enough in the Wealthy Affiliate training to know all they teach about increasing traffic to a blog. From all the research I did this weekend, I kept seeing over and over – the single most important thing to do to increase traffic to a blog is create content, content, and more GREAT content. Way to go, Wealthy Affilate! Thanks for teaching us the right things! Me being as impatient as I am and not seeing much traffic from the search engines yet led me to doing some searches on backlinks — I was wondering if they were still as relevant as I remembered them being when I was doing SEO 3-4 years ago. If you are not on the front page of the search engines – you are not getting the lion's share of the traffic. And really – positions 1, 2 & 3 get MOST of the traffic. Everything I have learned for over 20 years of being on the Internet says build backlinks to get more traffic. Everything I read with more recent data – confirms backlinks are the way to go. Dofollow links are better than nofollow links and all comments from blogs are nofollow unless you specifically look for dofollow blogs. Blogs that are using the “CommentLuv” plugin are dofollow. So, if you are only getting links from blog comments – you are not getting any dofollow links. Try searching for “blogs using CommentLuv plugin” if you want to comment on some dofollow blogs for better backlinks. When I was doing SEO in 2010-2014 I was working for local businesses. I have a list of 25-30 local directories we would submit our sites in order to get backlinks -sites like yelp, yellowpages, local.com, and angieslist. This website is not a local business – it's global – so I needed to find a different kind of directory. 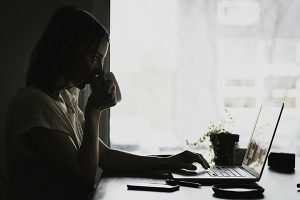 I found a list of Top Blog Submission Sites at Bloggerspassion.com – which is one of my new favorite blogs! He is getting around 70,000 visitors a month! That is social proof – this is someone to listen to about driving traffic to a website! ==> submit site, description, email, and pick a category. The blog submission sites I picked have great numbers as far as reputation go. Alexa Rating – calculated by how many people who have the Alexa toolbar/widget visit the site – so it's an odd calculation as people in niches other than SEO, web design, and Internet based businesses most likely don't have the Alexa widget and therefore have significantly lower Alexa ratings. The lower this number, the better ranked the site is. I still included the Alexa rating of these blog submission sites along with 4 other metrics. Unfortunately – this free backlink tool only lists 9 of the backlinks and they want you to pay to see them all – I don't need to know them all. All I want right now is a count. 39 backlinks is not bad! Remember, this blog is 32 days young! I did not use this free tool to check how many backlinks I had before adding our domain to the blog submission sites – that would have been even more interesting – but I found the backlink checker after I did these submissions. …within 3 hours of submitting my site to 10 blog directories! I'm happy with that! We are heading in the right direction! If you know of a free backlink checking tool – please share! Some very useful and interesting information on your site. I don’t really know enough about backlinks but will be following YOUR site and MY training lessons more closely. There is also a little “Get Started” button in brown just above your picture on the right of the page. Something to do with aweber but it gives an error message. Would that affect your banklinks? Thank you for this information on backlinks. I have heard of it, but I never totally understood how it worked. I thought it was bloggers let other bloggers post on their site ? I am very interested in doing this as I am new and would like to increase my traffic. How is your site since submitting to the blog directories (other than the results you have listed here)? If you are an affiliate marketer will this help? If yes, which one would be the best one and most simple to use? I posted this blog – and Bing has indexed it already for a total of 26 incoming (IC) and I have SIX MORE backlinks to my domain! (BLD) —- I also checked the backlink tool and I have 40 showing there now. I am pretty happy with the results of this submission to blog directories, so far! All 10 of the blog directories were pretty simple – make an account and enter your information – there were 3 that required I install their banner on my page. blogs-collection.com / ontoplist.com / blogtoplist.com so unless you want to deal with installing banners somewhere on your site – I would avoid those 3. 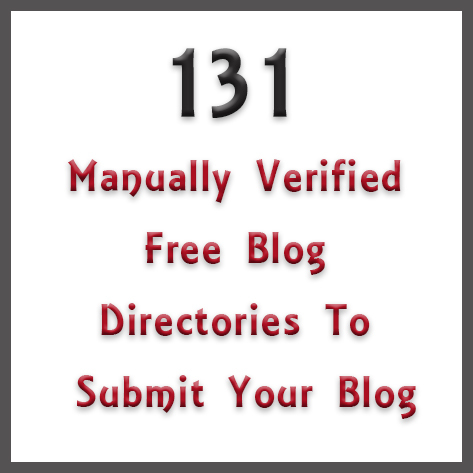 There is an image link to 131 directories in this post. When you get done with the 10 I did first (which have the best reputations) you could start on that list. That’s what I am going to do – I’m aiming for 10 a week as long as it keeps going as well as this submission did! Heather, this is great information about increasing traffic to your website using back-link. A little overwhelming as it seems, I believe it’s a teachable skill. If you ever need help, let me know. It seems more complicated than it is. If you have ever made a facebook account, you could enter your blog’s info on a blog directory. Pick one and try it. You can do it. I’ve never heard of backlinks before this post but after reading your article im definitely interested now thanks for sharing your insight it was really helpful, have a great rest of your night. That’s not the first time I heard that! I hope you learn to use them in the future – it can really help with search engine rankings. once again another great post. Great tips on how to get traffic to your site. I agree 100% content content and more content is the number one way to get traffic. Thanks, Jackie! Off to write more content, myself! I hope all is well with you! I didn’t really have a clue about backlinks until I stumbled upon your post (thank the lord). Hopefully I can build more traffic to my website and start expanding, although I know this all takes time. You are very welcome. Glad I could help. 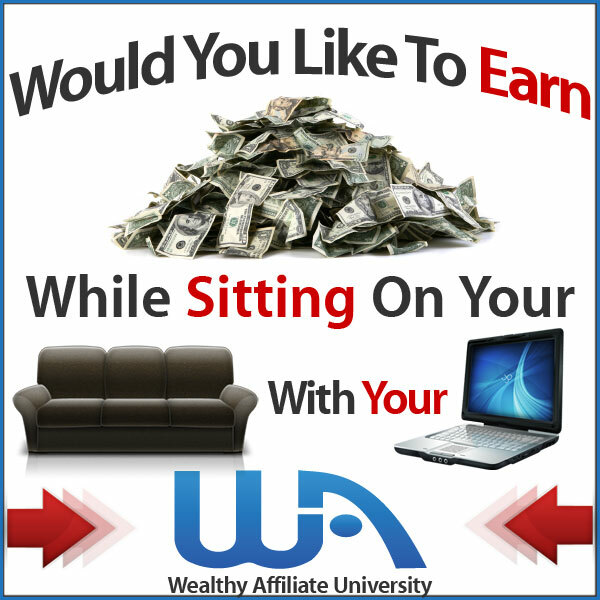 I like your approach here and with mentioning the Wealthy Affiliate Training then there is a backlink right there. I’m glad that we did similar posts on backlinks, however from two different approaches will help people more, as they don’t have exactly the same information from two different blogs. Commenting on other blogs is something that I didn’t enhance on but it is definitely something that is very important, hence as we are doing it. I agree – they were 2 totally different posts on a similar theme – great minds think alike! Thanks for the feedback. Much appreciated! I am very new to blogging and know absolutely nothing about backlinks so am very happy to I have read your post. Thank you for this information, and I will keep popping into your site in the future for some much needed training! Great! I am glad you got something out of it! How do you eat an elephant? One bite at a time. To your success! Love your hair site! I like the list that you put up here. A lot of online website directories have high DA that can pass on good “link juice” to your website. Although I have to say that when building links through directories. best be sure to check their profile with tools like ahrefs. Directories can give you quick backlinks but it would also be better if you do guest postings and blog commenting to get a good and health backlink profile. I agree – commenting and doing guest postings are also great ways to get backlinks. A healthy backlink profile is important – so choosing sites to comment on and guest post on using these same guidelines – DA, PA, CF and TF – helps with getting good link juice!